Employees and contractors of Obstacle Racers Australia or their family members or anyone else connected in any way with the competition or helping to set up the competition shall not be permitted to enter the competition. To be eligible simple LIKE our Facebook Page and LIKE / COMMENT / SHARE our giveaway posts as they appear. Obstacle Racers Australia will review and grant permission for the post to appear on the Facebook page provided it is of a suitable nature. The winner will be randomly selected using a third party tool to randomly generate winners. This tool also identifies the most liked comment, which is a commonly used entry for our giveaways. Obstacle Racers Australia’s decision in respect of all matters to do with the competition will be final and no correspondence will be entered into. Winners will be contacted privately via Facebook or email to obtain contact details, and then prize delivery will be arranged. 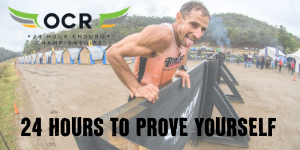 Obstacle Racers Australia reserves the right to cancel the competition or amend these terms and conditions without notice. No cash alternative to the prizes will be offered. The prizes are not transferable. Prizes are subject to availability and Obstacle Racers Australia reserves the right to substitute any prize with another of equivalent value without giving notice. The winner agrees to the use of his/her name and image in any marketing material, including but not limited to Facebook, websites, etc. Any personal data relating to the winner or any other entrants will be used solely in accordance with current Australian data protection legislation and will not be disclosed to a third party without the entrant’s prior consent. This promotion is in no way sponsored, endorsed or administered by, or associated with, Facebook, Instagram or any other Social Network. You are providing your information to Obstacle Racers Australia and not to any other party. The information provided will be used in accordance with Australian data legislation laws. The competition and these terms and conditions will be governed by Victorian law and any disputes will be subject to the exclusive jurisdiction of the courts of Victoria. Additional conditions may be applicable for specific giveaways and competitions which will be stipulated with each competition or appear below. Entrants can only no more than 3 of the 20 prizes on offer during this giveaway competition. Participants under the age of 18 need their parents’ permission to enter the competition before they are eligible to win a prize. One prize will be drawn daily for 20 days with the competition closing on Saturday, 25th March. After this date the no further entries to the competition will be accepted. Where there is more than one prize in a competition, we will use a third party tool to randomly generate winners multiple times (to the amount of prizes to be given away).